Have you dreamed of having a straighter smile, but you don’t want to spend months wearing metal braces? Now, you don’t have to. With a discreet treatment option like ClearCorrect, you can achieve your goal of having straighter teeth without wearing normal braces. ClearCorrect is the clear and simple alternative to braces. It uses a series of clear, custom-made aligners to gradually straighten teeth. 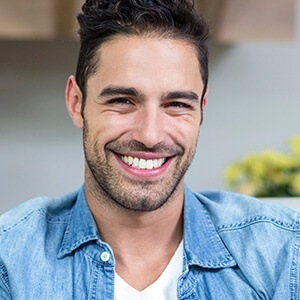 Here’s how it works: You’ll wear each aligner set in your treatment kit for about two weeks, with each one moving your smile just a little bit at a time. At the end of those two weeks, you’ll move on to the next set until you’ve worn every aligner provided for you. Because the ClearCorrect aligners are literally clear, they're practically invisible—most people won't even know you’re wearing them. What’s more, they’re designed to fit around your teeth, so they're more comfortable than regular braces. They’re also they're removable. That means you can eat whatever you like and clean your teeth normally. With traditional braces, there are limits to what you can enjoy, and brushing and flossing are often more difficult. To learn more about ClearCorrect and see if it’s right for your smile, please contact us today.